This tutorial explains to you how to Download WhatsApp For PC or laptop in your Windows 10 or Windows 8 or Win 7 Operating System. This method works on all platforms without any trouble. The process is easy. 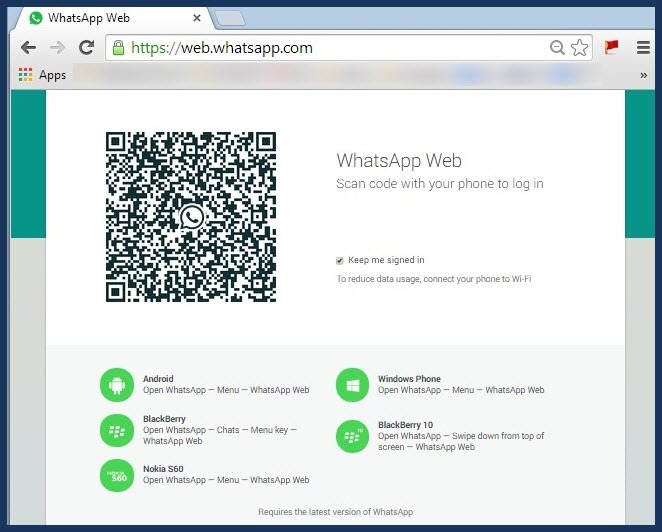 There are more than five methods available to install WhatsApp on Computer. I have tried most of them, and I picked few best ways for you guys. So, Please read all methods and use your favorite method. Every process has its pros and cons. Try yourself and decide. This method takes some time for the first time to download the Bluestacks and set it up on PC. 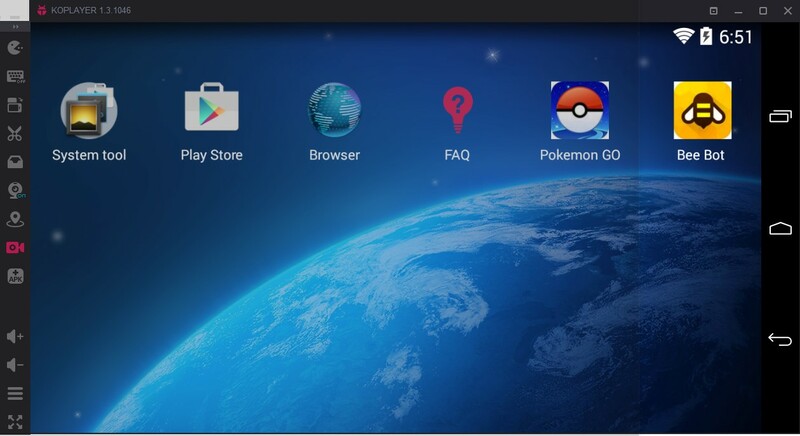 First, You have to download an Android emulator. The emulator name is Bluestacks. You must download it first. It is the one which is remarkable and so user-friendly in operations. Once finishing the download, Install the Bluestacks Exe file. Bluestacks shortcut file can be viewed on your desktop; you must open it for our purpose. Afterward running Bluestacks, get into search option. If you are using Bluestacks for the first time then it will ask you to log in Gmail Acc. You must use Gmail Account to download Android Apps from Playstore. In search, type ”Whatsapp” and You need to select the app and then now and click on install. After you see the installation is completed, Click on Open. Now, You have to use your mobile number to verify your WhatsApp Account. This is method is to use the Same WhatsApp Account which you use on your Phone. If you are looking to use WhatsApp while you are away from the phone then this method is for you. 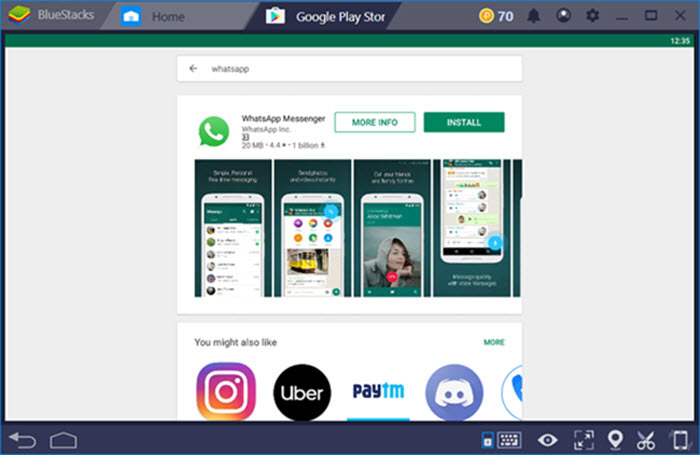 If you are looking to use WhatsApp account only on Computer, then you must read the Bluestacks method to use WhatsApp on Laptops. First, go to https://web.whatsapp.com/ from Google Chrome or using any other web browser. You will see a QR code on your computer screen like in the image below. In your Phone, Open WhatsApp > Menu > WhatsApp Web Option. Now, You will get an option to scan the QR code. Scan the QR code from your smartphone. **Note: If you want to sign out of WhatsApp on Windows PC then Go to WhatsApp Menu Settings > WhatsApp Web > Select logout Option. This is very important when you use public computers. Many of our readers have reported that they are getting so many issues while using Bluestacks on their Windows 10 PCs. 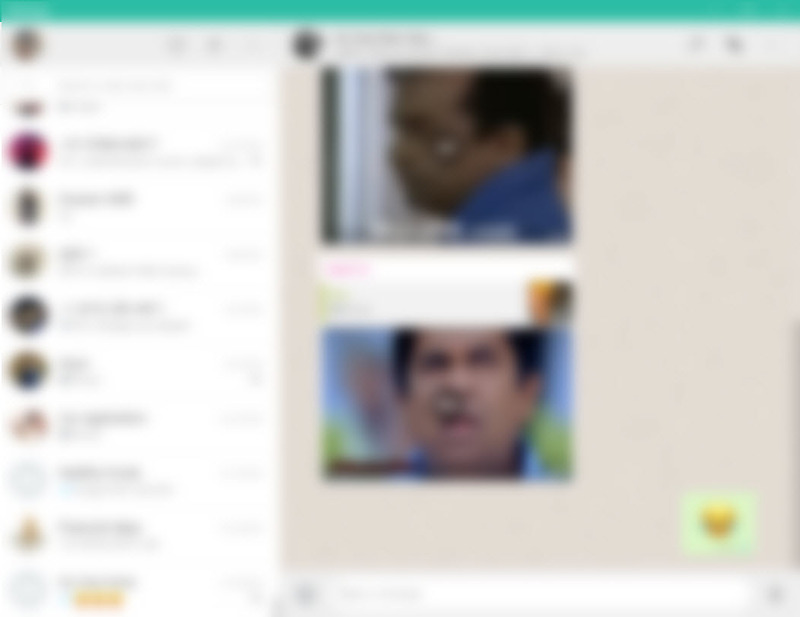 So, I decided to explain another way to enjoy WhatsApp on our Laptops. If Bluestacks Crashing Windows 10 on your PC then check out the solution. Like Bluestacks, we have to download An Android Emulator Called KoPlayer. It is the best software to run Android Apps on Windows 10/8/7 Computers. The link is given below. It’s a little big software. It might take some time depending upon your Internet speed. So, be patient. Install the downloaded KoPlayer & Open it. You’ll see the interface like below. 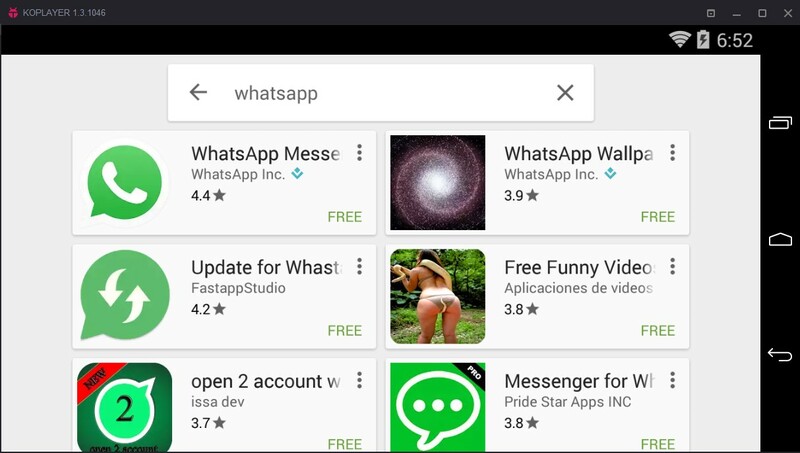 Open the PlayStore likewise in your normal Android Phone and Search for WhatsApp. I hope you know what to do now :P. Yah Click on Whatsapp and Install it on Your Windows laptop. Enter your phone number and Verify it. That’s all buddy :). Check out the below video to understand it better. WhatsApp For PC without using bluestacks. Don’t forget to like the video. Don’t forget to share or ask your doubts. If you have any problems then don’t hesitate to leave your comments. I’ll be helping you with all your problems. Download Whatsapp for Laptop. 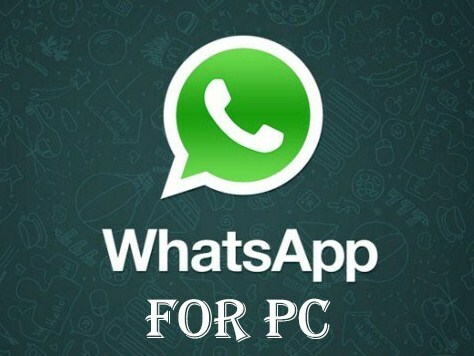 WhatsApp for PC Free Download. You can download temple run for laptop and shadow fight 2 for windows 10. If you are looking for www.whit.li website then you should know that Whit.li is being redirected to this page. For Any information regarding the whit.li website please contact us through the form provided in the website contact page. WHIT Li project is about automating the judgment based on access to limited data. After Whit.li scans a user’s social media (like Facebook, Twitter, Instagram or any other platforms). These are all the ways to get WhatsApp download for PC or laptop in Windows 8, Windows 10 Laptops and PCs. If you have any problem or suggestion, post a comment below. Hope you find this useful and share this article with all your friends.